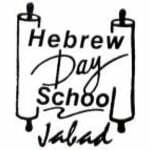 Please donate to Hebrew Day School today! Thank you for being a part of HDS and sharing in our vision. Your donation enables us to offer a Jewish education to every Jewish child in the Costa Rica community, regardless of their financial situation.